Extend your warranty to 8 years in line with Tesla drivetrain and batterypack warranty. Without any mileage limitation of course. The standard limited factory warranty is 24 months for units shipped in Europe by Rainbow Road. 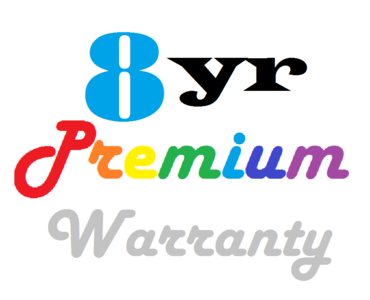 The Premium Warranty Extension is transferrable to your next Tesla or new owners and covers parts and labor for 4 years and we give it our best effort. Promised. For your convenience and to avoid extra costs all through the maximum Tesla warranty this extension is perfect. But it's not only that, but we will honor your warranty and support issues with top priority and help you even better.